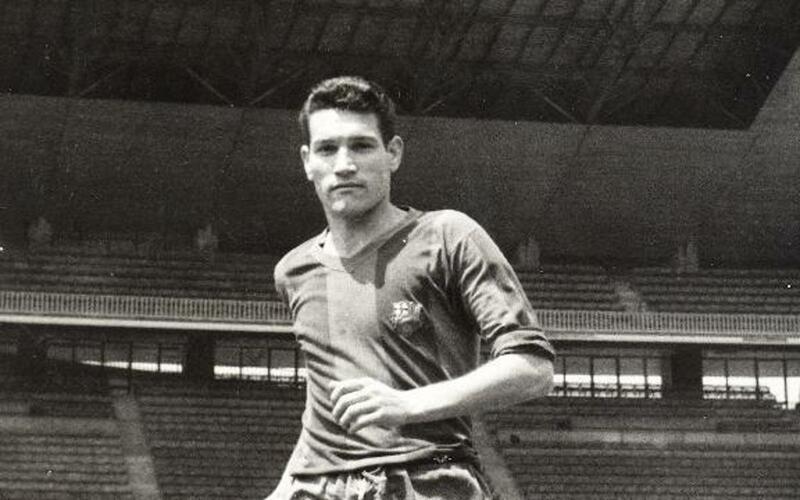 The legendary defender was part of the Barça of the Five Cups in the 1950s and is one of the players who has made most appearances for the Club. Segarra was a true gentleman on the pitch, and his noble and very proper attitude won him the admiration of respect of the entire footballing world. He was a versatile player, although his natural positions were at half back or left back. He was brave and dedicated and would never stop yelling encouragement to his team mates. He had the perfect physical shape, tremendous skills, and was a solid marker. Although he played at the back, he also had a fine shot and scored several decisive goals. From the time he surpassed Torralba in 1963 until Rexach surpassed him in 1979, Segarra was the Club’s all-time leader in games played. He received a well-deserved tribute at the Camp Nou on September 9, 1964. After retiring, the ‘Great Captain’ stayed on at Barça as a youth team coach and in the 1979-80 season he was assistant first team coach to Helenio Herrera.